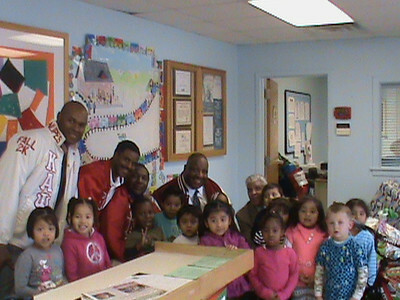 The Greenville (SC) Alumni Chapter of Kappa Alpha Psi Fraternity, Inc. hosted their 3rd annual Kappa Klaus program on December 19, 2013 at the Parker Head Start Center. The Kappa Klaus initiative was conceived as a way of providing Christmas cheer to some of the County's neediest children between the ages of 4 and 8. 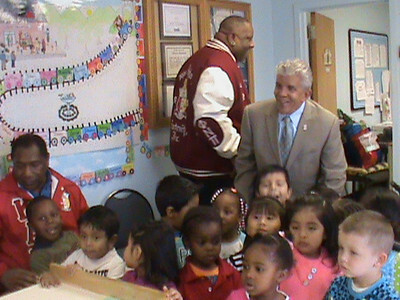 This year the Kappas along with co sponsors supported 20 children with gifts of clothing, bicycles, books and toys. Kappa Klaus is administered by the Community Affairs Committee and the program operates on a belief that the value of a man resides in what he gives and not in what he receives.